CPS Camp No. 29, Lyndhurst Virginia. Lake Sherando view from mountain top. This Is Our Story was a newsletter published by the men at Camp 29 from March 1943 to January 1944. CPS Camp No. 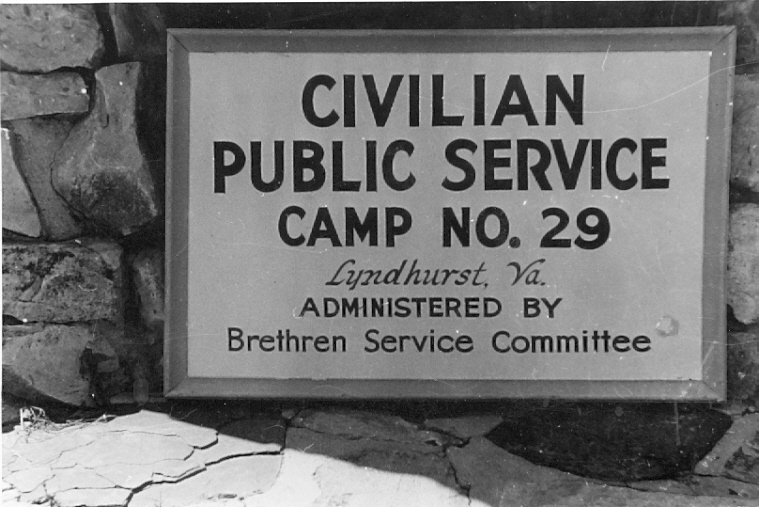 29, a Forest Service base camp located in Lyndhurst, Virginia near The Blue Ridge Parkway and operated by the Brethren Service Committee, opened in May 1942 and closed in January 1944. Assignees made improvements along the Blue Ridge Parkway. 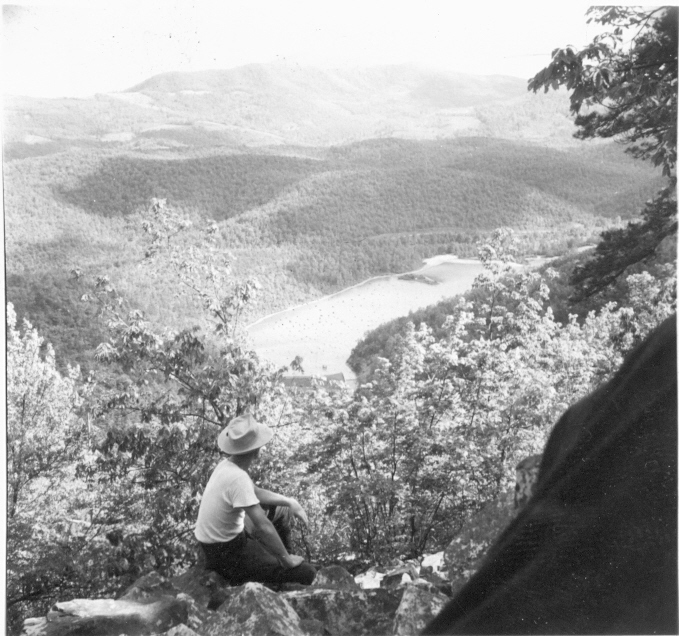 This Forest Service base camp was located in Lyndhurst, Virginia near The Blue Ridge Parkway. The Parkway stretched between the Great Smoky Mountains National Park in Tennessee and the Shenandoah National Park in Virginia. In Brethren camps, the men when entering CPS tended to report a mix of religious affiliations, with about half citing affiliation with Brethren groups. Assignees worked with the National Park Service to improve the Blue Ridge Parkway. Men graded and seeded road banks to prevent erosion and deterioration. They also cleared brush and constructed rail and stone fences. Formal classes were held at Lyndhurst and, according to Eisan, the participation of sixty men was “active”. The men published a camp paper Kitchen Scents in June 1943. 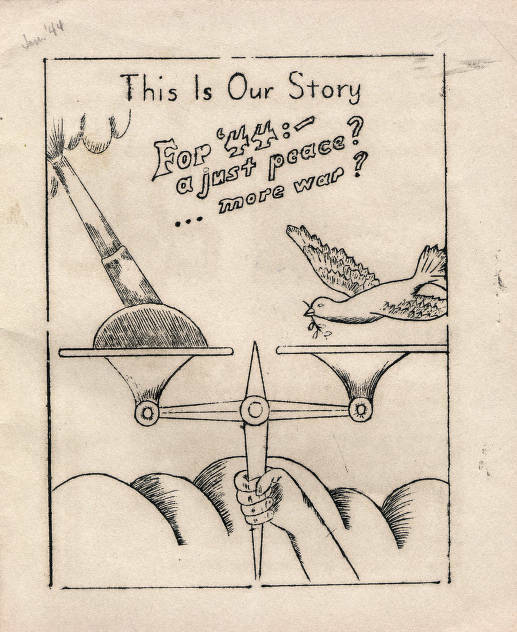 From March 1943 through January 1944, the men published This is Our Story. Some personal recollections of his brief time spent at Lyndhurst can be found in J. Henry Dasenbrock, To the Beat of a Different Drummer: A Decade in the Life of a World War II Conscientious Objector. Winona, MN: Northland Press of Winona, 1989, pp. 72-74. 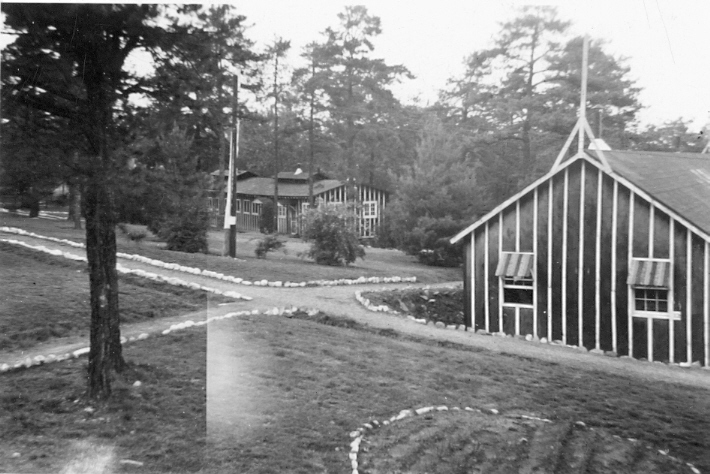 For further discussion of educational activities and camp life in Brethren base camps, see Leslie Eisan, Pathways of Peace: A History of the Civilian Public Service Program Administered by the Brethren Service Committee. Elgin, IL: Brethren Publishing House, 1948, Chapter 4, pp. 112-187.